Colin Green Photography: Postcard's fom the Past. Fir Tree Pond, Royal Tunbridge Wells, Kent. Postcard's fom the Past. 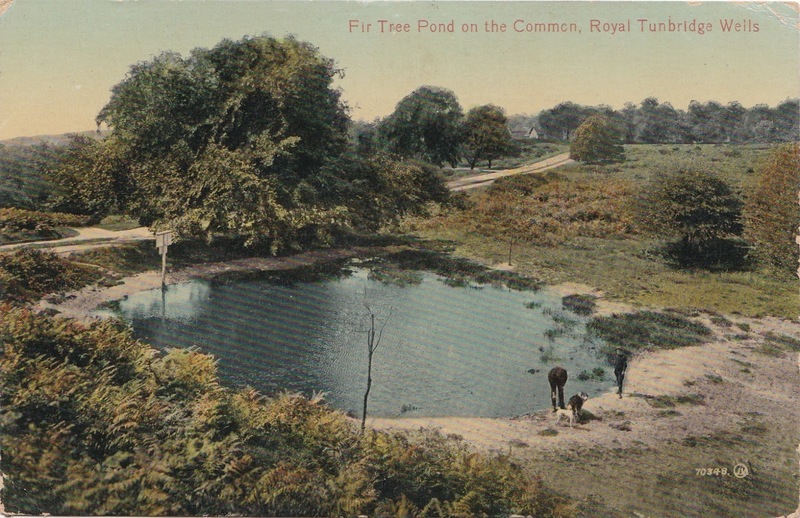 Fir Tree Pond, Royal Tunbridge Wells, Kent. Last 1 today and also now available to buy on Ebay UK is this postcard of Fir Tree Pond on the common, Royal Tonbridge Wells. 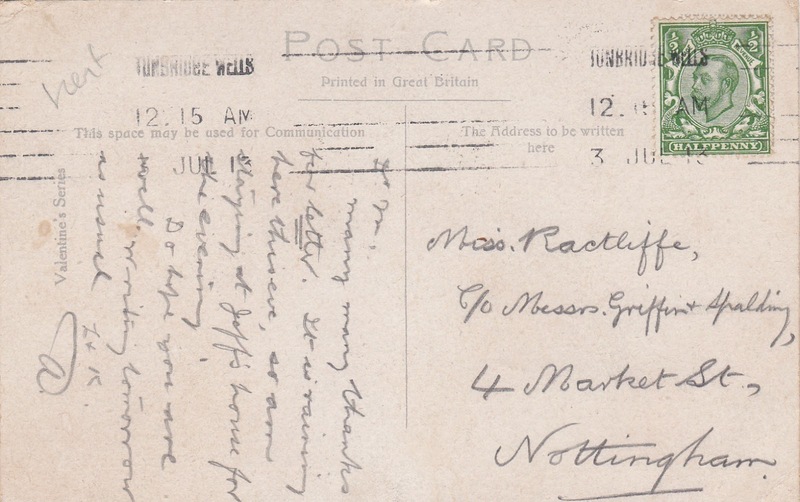 This one has been posted, having been postmarked on 3rd July 1913. It features a King George V half penny green stamp. 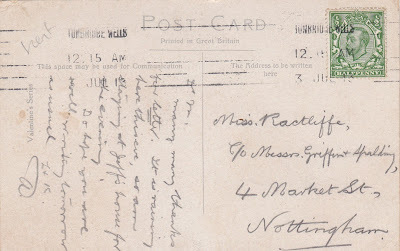 The card was posted to a Miss Ratcliffe, 4 Market Street, Nottingham. I struggled to make out what was written and who by, only able to make out thanks for a previous letter and the weather was raining. Click here to view the Ebay listing. You can follow me on Facebook, Flickr, Pinterest, Twitter and Tumblr via the links in the sidebar. You can subscribe to my YouTube channel here. Also you can follow me on Clickasnap here.